We all know how difficult it is to follow celebs on Instagram & Twitter and see all of the new and oh so fabulous beauty products that they receive in goodie bags, while us college students are begging our parents for money. After doing research, I found a few DIY beauty products that work just as well as the top brands! DIY Body Scrub: All you need is an empty jar, raw sugar, honey, and coffee. I personally love anything that has to do with honey. It inhibits the growth of bacteria which reduces acne breakouts, not to mention it's delicious. Raw sugar is used to scrub the dead skin away. Coffee beans of course have caffeine in them, which is perfect for "perking" up your skin. The caffeine can reduce redness and reduce the looks of cellulite. Put all three items into the empty jar, mix together and you're ready to lather up. 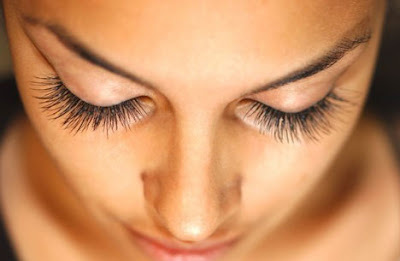 DIY Lash Lengthener: Everyone has their own "lash growth remedies" whether it be Vaseline, castor oil, olive oil, or taking hair growth vitamins. I was browsing on Fashion Indie (a blog I recently found and fell in love with, you guys should check it out), and found the best lash lengthening potion to date. It is a mixture of castor oil ( to thicken), aloe vera gel (to lengthen) and Vitamin E ( to speed up the length). I just found it but I am ecstatic to use this concoction and I will do an update. DIY Stretch Mark Fader: There are very few of us who are oh so lucky to be blessed with these marks of beauty (note the sarcasm). But an easy at home way to help soften and fade these marks are with Camellia Nut Oil. This is a trick often used by the Asian women, but have you noticed that they rarely have any (in fact I haven't met any Asian with them).